ABC has announced most of its summer premieres for new series and returning favorites. The Bachelorette kicks it off on Monday, May 14, as previously announced but now more summer premiere dates are announced! On the first official day of summer on TV, Thursday, May 24, ABC will launch the anticipated new reality series Duets with a two-hour premiere. The season three premiere of summer crime drama Rookie Blue will follow at 10:00pm on Thursday nights. As for Duets, the Kelly Clarkson, Jennifer Nettles, Lionel Richie and Robin Thicke series will air for two-hours on May 24, May 31 and June 7. ABC will then air the NBA Finals on June 14 and if necessary on June 21, so as a result, Duets will air on Wednesdays those two weeks (June 13 and June 20) from 9:30pm-11pm. 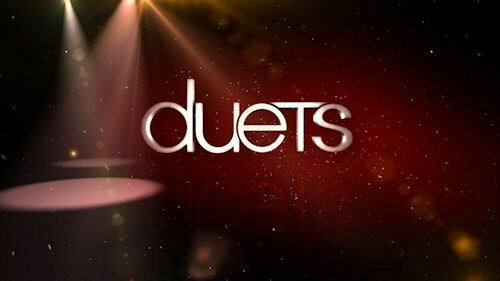 Duets will return to Thursdays after the NBA Finals concludes, which will be June 28 but it will air one-hour episodes. The season five premiere of Wipeout will air at 9pm on Thursday nights starting June 28. Moving on to Sundays, ABC will go the reality route. Following repeats of AFV at 7pm, we have all-new seasons of Secret Millionaire at 8pm and now two-hour episodes of Extreme Makeover: Weight Loss Edition from 9-11pm, both starting Sunday, June 3. The next announced premiere will be on Tuesday, July 10 when ABC premieres new improv series from the people that brought you Whose Line Is It Anyway? This new series, Trust Us With Your Life will premiere with back-to-back episodes in the 9pm hour. It will then air in the 9pm half-hour on Tuesday nights for the next six weeks. ABC has ordered eight episodes. 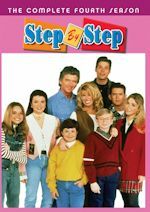 Hosted by Fred Willard, featured celebrities include David Hasselhoff, Ricky Gervais, Jerry Springer, Florence Henderson, Jack & Kelly Osbourne, Jane Seymour, Serena Williams and Mark Cuban. The exciting new format finds each celebrity reminiscing about key episodes that have happened in their lives, then brilliant improvisers acting out those moments which the celebrity has just described. These key moments in the life of the guest celebrity will be improvised as straight comedy or in game formats such as forward/rewind and sideways scenes. The tone of the show is friendly, funny and cheeky. Comedians on the show include Wayne Brady and Colin Mochrie (Whose Line Is It Anyway? ), along with Jonathan Mangum as the main improvisers. They will be joined by guest starring performers such as Greg Proops and Nicole Parker. Also premiering on Tuesday nights on July 10 will be Final Witness at 10pm. The series is a compelling hybrid of documentary and drama, featuring interviews with real-life witnesses, prosecutors, law enforcement, family and friends, along with riveting scripted scenes with actors, thrusting viewers into the heart of each crime. ABC has ordered seven episodes. And the final announced summer premiere for now is the season premiere of Bachelor Pad will be on Monday, July 23 from 8-10pm after The Bachelorette concludes on July 16. So that is all for now. More announcements for ABC summer is still to come. We still don't know what is airing Mondays at 10pm (both after The Bachelorette and Bachelor Pad), Tuesdays at 8pm (could be reruns of Last Man Standing for the hour), and Wednesdays at 10pm (besides Duets for two weeks from 9:30-11pm). Also Tuesday nights at 9:30pm is a mystery as what will air starting July 17 after Trust Us With Your Life. We are assuming ABC Laugh On Wednesday comedy repeats will air all summer on Wednesdays from 8-10pm. Fridays is expected to be repeats of Shark Tank and What Would You Do? into 20/20. Stay with us for continued updates. 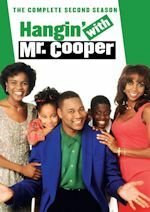 For the week of April 9-13, 2012, we have many current sitcom stars and past sitcom stars on TV talk shows! All times listed are Eastern. So get your DVR's (or whatever you use) ready! Ready? Here is all what you need to know for the coming week! Cobie Smulders (How I Met Your Mother) - Watch Cobie on The Late Show with David Letterman at 11:35pm on CBS. James Van Der Beek (Don't Trust the B---- in Apartment 23) - James stops by Jimmy Kimmel Live! at 12am on ABC. Don't Trust the B---- in Apartment 23 premieres on ABC on Wednesday at 9:30pm ET/PT. Billy Gardell (Mike & Molly) - Billy visits The Late Late Show with Craig Ferguson at 12:37am on CBS. Ian Gomez (Cougar Town/Jake in Progress) - Ian appears on The Late Late Show with Craig Ferguson at 12:37am on CBS. Steve Harvey (The Steve Harvey Show) - Steve is a guest on Late Night with Jimmy Fallon at 12:37am on NBC. Sofia Vergara (Modern Family/The Knights of Prosperity/Hot Properties) - Sofia drops by LIVE! with Kelly, so check your listings. Sean Hayes (Will & Grace) - Catch Sean on The Late Show with David Letterman at 11:35pm on CBS. The Three Stooges opens in theaters on April 13. Jim Gaffigan (My Boys/Welcome to New York) - Jim visits The Late Show with David Letterman at 11:35pm on CBS. David Spade (Rules of Engagement/8 Simple Rules/Just Shoot Me) - David is a guest on Jimmy Kimmel Live! at 12am on ABC. Jessica St. Clair (Best Friends Forever/In the Motherhood) - Jessica drops by The Late Late Show with Craig Ferguson at 12:37am on CBS. Christina Applegate (Up All Night/Samantha Who?/Married with Children) - Christna appears NBC's Today between 7-9am. Then she will be on LIVE! with Kelly, so check your listings. Finally, she's a guest on Late Night with Jimmy Fallon at 12:37am on NBC. Steve Harvey (The Steve Harvey Show) - Steve chats with the ladies of The View on ABC at 11am ET/10am CT-PT. Krysten Ritter and Dreama Walker (Don't Trust the B---- in Apartment 23) - Krysten and Dreama visit The View on ABC at 11am ET/10am CT-PT. Krysten will also be on ABC's Good Morning America between 7-9am. Don't Trust the B---- in Apartment on 23 makes its debut on ABC on Wednesday at 9:30pm ET-PT. 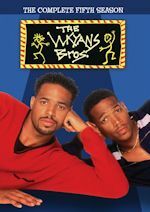 Kyla Pratt (Let's Stay Together/One on One) - The beautiful Kyla sits down with Wendy on The Wendy Williams Show at 12am on BET or on your local stations. Joel McHale (Community) - Watch Joel on Late Night with Jimmy Fallon at 12:37am on NBC. Edie Falco (Nurse Jackie) - Edie chats with the ladies of The View on ABC at 11am ET/10am CT-PT. Cheryl Hines (Suburgatory/Curb Your Enthusiasm) - Cheryl appears on LIVE! with Kelly, so check your listings. Brandy (The Game/Moesha) - Brandy visits LIVE! with Kelly, so check your listings. Jessica St. Clair (Best Friends Forever/In the Motherhood) and Lennon Parham (Best Friends Forever/Accidentally on Purpose) - Jessica and Lennon are guests on Last Call with Carson Daly at 1:35am on NBC. Martha Plimpton (Raising Hope) - Martha is a guest on Watch What Happens: Live at 11pm on Bravo. Danny McBride (Eastbound & Down) - Catch Danny on Jimmy Kimmel Live! at 12am on ABC. Tina Fey (30 Rock) - Tina chats with the ladies of The View on ABC at 11am ET/10am CT-PT. She also appears on Late Night with Jimmy Fallon at 12:37am on NBC. Larry David (Curb Your Enthusiasm) - Larry is a guest on Conan at 11pm on TBS. Jim Gaffigan (My Boys/Welcome to New York) - Jim continues to make the rounds on Conan at 11pm on TBS. Edie Falco (Nurse Jackie) - Edie visits The Talk on CBS at 2pm ET/1pm CT-PT. She will also be on Anderson, so check your local listings. Laura Linney (The Big C) - Laura appears on LIVE! with Kelly, so check your listings. Joel McHale (Community) - Joel guest co-hosts LIVE! with Kelly on Thursday and Friday, so check your listings. Maya Rudolph (Up All Night) - Tune in to see Maya on The Ellen DeGeneres Show, so check listings. Cheryl Hines (Suburgatory/Curb Your Enthusiasm) - Cheryl is a guest on Watch What Happens: Live at 11pm on Bravo. Julia Louis-Dreyfus (The New Adventures of Old Christine/Seinfeld) - Watch Julia on The Late Show with David Letterman at 11:35pm on CBS. Jason Segel (How I Met Your Mother) - Jason visits The Tonight Show with Jay Leno at 11:35pm on NBC. Sean Hayes (Will & Grace) - Sean continues to make the rounds The Ellen DeGeneres Show, so check listings. He will also be on The Late Late Show with Craig Ferguson at 12:37am on CBS. Martha Plimpton (Raising Hope) - Martha appears on LIVE! with Kelly, so check your listings. 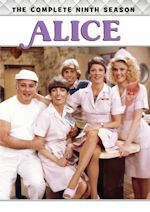 Henry Winkler (Happy Days) - Henry discusses stroke therapy on The Doctors, so check your local listings.